Colombia’s former President Alvaro Uribe, the main opponent of peace with far-left FARC rebels, warned his country of disastrous consequences of the peace accord presented to Thursday. In a lengthy speech, Uribe warned that his successor, President Juan Manuel Santos, has put the country on the path towards the respective communist and socialist governments of Cuba and Venezuela. Uribe’s increasingly apocalyptic visions of Colombia’s future after peace with the Marxist FARC coincides with the increasingly probable possibility the former President will appear before a transitional justice tribunal over thousands of human rights violations committed under his watch. Moreover, his brother is currently in jail for allegedly forming a paramilitary death squad and the former president himself is implicated in paramilitary war crimes. The former president has resisted talks with the FARC since their initial announcement in 2012 and has rejected most of the agreements made during the negotiations. With the international community and the vast majority of Colombia’s political players applauding the deal, Uribe’s staunch rejection and his apocalyptic vision of peace with the FARC has politically isolated him. However, his concerns about the possibility of FARC war criminals engaged in mainstream politics and the possibility of all war criminals to evade prison is echoed widely in Colombian society. According to Uribe, the pending peace process “converts the FARC in a paramilitary group, at the service of the state,” claiming that “with their money the FARC can replace all the weapons they surrender. In politics this will create distortion to buy votes bigger than the corrupt slush funds of the government” of Santos. The justice element of the peace deal has also been criticized by victims and Human Rights Watch, in spite of their support for ending the war. 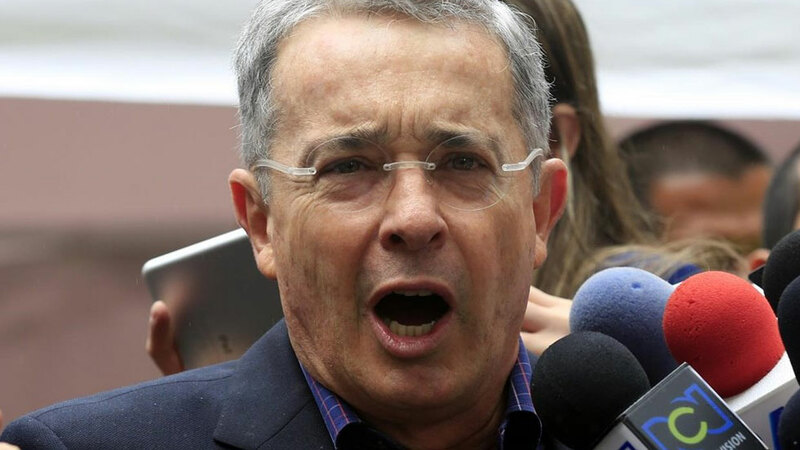 The human rights organization has, however, refused to legitimize Uribe’s arguments, claiming they are “self-serving” because of the former president’s own mounting issues with justice over war crimes, abuse of power and corruption. While also secretly engaged in peace talks, the former president led a military offensive against the FARC between 2002 and 2010. This US-backed military offensive is widely credited for pushing the guerrillas away from the cities. However, the military successes have been marred by mass human rights violations, including the deployment of death squads and the execution of thousands of civilians to inflate success in the years the military wasn’t as successful.